It's what you've always wanted to do. and More Life as a result! What if your life could be so much better by doing so much less? Right now, your mind may close, refusing to believe that's even possible. But your mind is lying to you! Because the reward of actually having more money and more freedom while working LESS goes against everything you've ever been taught... your mind may not allow you to accept it as reality. But that's okay. I've been doing this for more than a decade. I know the drill. Sometimes when I tell people they can make even more money next year PLUS enjoy six or eight weeks of vacation, they nod politely while giving me a look that says, "Yeah, sure." When I share how I've helped many thousands of people bring their families closer together because they're able to spend most of their days with their loved ones... their eyes widen as if to say, "Interesting; please go bother someone else now." Even if they politely listen and walk away, I can't help but smile. Because I know that I planted a tiny seed. And as soon as a friend shares how he heard about a few of my ideas, their mind suddenly opens back up! That's precisely when they can finally believe what they wanted to all along — that their income, free time, and enjoyment of life could ALL substantially increase... at the SAME TIME! And it can all start just as soon as they are ready. That's their wake-up call to finally believing... and achieving MORE Money, MORE Life And right now YOU can also hear that call. That was my wake-up call about 10 years ago. Yes, I was SHOT! Some might say a bullet nearly took my life. But that's not true. It actually saved my life! Hi, my name is Stephen Pierce. And I can honestly tell you that I'm a multimillionaire and bestselling author today because of that fateful day. I now live in a stunning 12,000-square-foot, $2.4 million mansion that sits on a storybook 4.3-acre Texas estate. And you may have seen me on NBC News, ABC News, CBS, or Fox News; or listened to me speak on Bloomberg Business Radio, ABC News Radio, or The Tom Joyner Show or even my iTunes top 10 ranked podcast "The Success Sculpting Show with Stephen Pierce"
I tell you this not to boast, but to show you just how far I came in such a short period of time. You see, back then I was homeless, penniless, and just barely living. No doubt, it was my life's lowest point. But that's also when I discovered what is perhaps the single most powerful life lesson. Life-changing advice that you too will be able to follow in just a couple of minutes. Either you do things differently. Or you do different things. I earned half a million dollars over the next 12 months! Without being tied down to a workplace, work schedule, or, for that matter, WORK! I tell people all the time that I feel as if I'm the luckiest person on earth. I have the privilege of making a lot of cash PLUS I have the luxury of doing what I want, when I want, wherever I want. And today, I'm offering you a taste of this immense freedom that I call "More Life." Having more time to do what you WANT to do. We all have freedom. But ask yourself: How much freedom do you really have? Where will you be at two o'clock next Tuesday... at work, right? And could you decide today to spend the next five days vacationing with your family? If you're a typical 9-to-5er, probably not. It's exactly how my clients get to live every day. As a result, their marriages are stronger, they have far more energy, and they seem even more relaxed, younger, and happier practically every time I see them. You know that extra kick in your step you have on Fridays? And it can start for you as soon as THIS YEAR! That's More Life. And the best part is, you don't have to uproot your life or quit your job. You simply start doing things just a little bit differently. It's not hard. In fact, most tell me it's almost TOO EASY. Here's the thing: It HAS to be easy. Because I've spent the past 10 years researching, hunting, and testing for every shortcut and every path that works as close to 100% of the time as possible. I went to these extremes to practically guarantee you'll make more money and enjoy more life. And the result of my decade-long dedication is what many of my clients call the most complete, minute-by-minute, single-source solution to accelerating one's income and one's life! Are you paid for the hours you work? But that's okay. Most everyone's work and income are simply not optimized to build wealth quickly. If you have a salary or you're paid an hourly wage, no matter how much you make, you're pushing a boulder uphill. Sure you can grow wealthy... eventually. Maybe in 20, 30, or 40 years, just before you retire. That's how your parents and grandparents strived to do it, right? But they didn't have the opportunities that are available to you today! If you answered "Yes" to the previous question, that means your income is linear — that's where most Americans fall. It just means you are paid for the time you work. But what if you could spend a couple of hours working just once and CONTINUALLY get paid for it? Now we're talking residual income. Residual income can make you lots of money, and quickly. But to have it all — both MORE Money, MORE Life, you'll want passive income. This is where you finally push the rock to the top of the hill... then watch it quickly roll down, gaining momentum (and piles of cash) the entire way. With passive income, you continually get paid handsomely for something that takes very little of your time. In other words, you make LOTS for working a LITTLE. You spend part of your morning banging out a couple of my ideas, and your afternoon becomes yours... to go to the gym, watch a ballgame, plan a weekend party... ANYTHING but work. Stick with me. I'll show you firsthand my decade-proven formula for moving your mindset from having a linear to a residual to a passive income. Remember the life lesson that helped me climb from my hospital bed and into a lifestyle where I have more freedom and more money than I could possibly spend? Do things differently, or do different things. Well, if you really want the life I've been describing — to enjoy more hours in your day and more money in your bank account — the only thing you need to do is... something a little different. That's what I did when I was homeless and recovering 10 years ago. Back then, I "lived" in a friend's office building, even "showering" with restroom squirt soap. I had heard that there were opportunities to make money online, but I knew nothing about them. That quickly changed. I threw myself into this venture with all my energy and passion. Through trial and error, I explored what worked some of the time and what worked all the time. By constantly testing, tweaking, and perfecting, I was able to create tips, strategies, and formulas for making money online. I mastered the ability to create a virtual product from scratch that has a real fan following... to create a website that gets flooded with traffic and sells... to navigate the most direct online path to a guaranteed income (and steer clear of what doesn't work). And I even discovered several unique ways to make money online without having a product, website, or even a clue about online marketing. Even today, I'm continuously updating my system so it works seamlessly with today's Google, today's social media sites, today's online buyers. Over time (10 years and counting), my online marketing strategies have evolved and as a result my success has grown exponentially. It's been something you've always wanted to try. You've heard about it, read about it, heck, you probably know someone who's done it. Now it's your turn to get in the game and stop sitting on the sidelines watching others cash in on what is (and will probably always be) the quickest path to MORE Money, MORE Life... making money online. But unlike others, you have an advantage. A cheat sheet of sorts. My complete, nothing-left-out 7-step playbook. This is the very set of instructions and strategies I still use to this day — and I'm handing you every minute-by-minute move. You see, I didn't create this system for marketers, programmers, writers, or designers. I created it for you. The person who simply wants a chance to get ahead... and stay ahead. That's what I'm giving you today — a better, more financially rewarding life. Simply by trying something a little different. 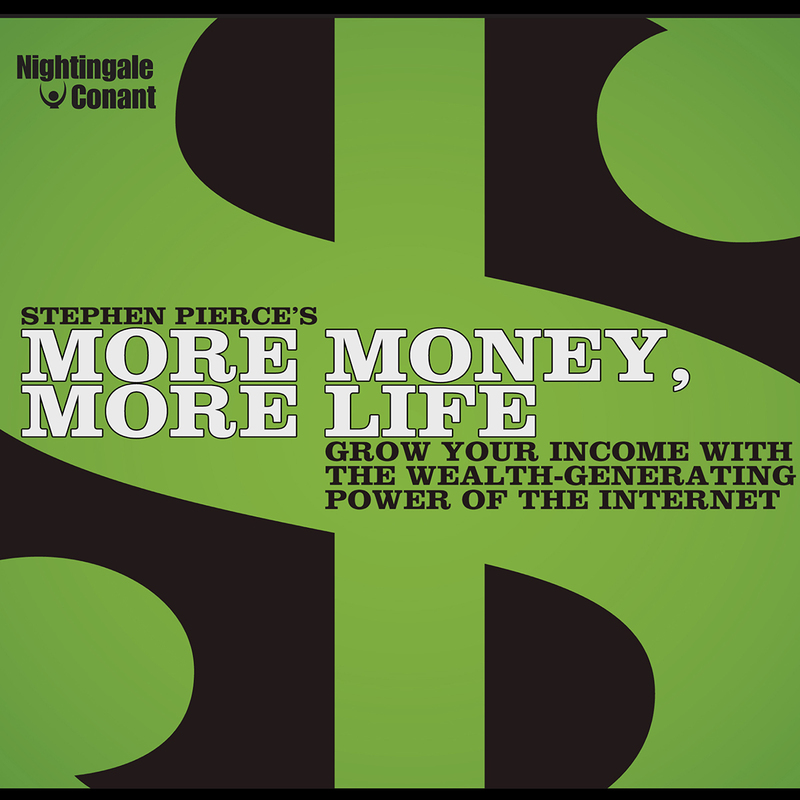 And trying something different begins when you try my best-selling Nightingale-Conant-published audio program MORE MONEY, MORE LIFE: Grow Your Income with the Wealth-Generating Power of the Internet. It simply works. It has to... because I've taken all the guesswork, all the research, and nearly all the risk from your opportunity to make money online. to your first online payday. Market Research — The most important step that most people miss. Income Streams — All the ways to get paid on the Internet. Information Products — Easily create (or have someone else create) a variety of digital products that sell. Lead Generation — The surest, quickest, and most cost-effective lead-generation tools. Traffic Generation — Bring qualified traffic to your site — automatically! Social Media — Tap into the gold vein of the social networking media. Acceleration — Gain more customers and more money... even faster. And with each step, I let you peek over my shoulder and see exactly how I've done it and how my clients do it today. Then it's just a matter of copying our success in order to find your own. Exactly how much wealth and how much freedom do you wish to create? It's up to you. You can choose to try a few of my ideas, and you'll easily supplement your income. Probably make enough to enjoy a few more nice vacations each year. And that's when the fun really begins. STEP #1 — Market Research: Your Starting Point for Infinite Internet Income. Your path to discovering new wealth online begins at the most critical step that almost 90% of online entrepreneurs ignore — Market Research. How answering one simple four-word question is practically the BEGINNING and END of your market research! Most ALL of my money and success can be summed up in SIX words. For years, I kept this one secret to myself. Today, it's yours! If you do nothing else but follow this one platinum tip, you can't help but reach your dreams! The FUNDAMENTAL FOUR you must do to excel in the online world: FIND prospects. GET them to become customers. KEEP their business for life. And GROW your customer list over time. You'll learn the secrets to maximizing all four! And that just scratches the surface. By the time you get through this jam-packed first step, you'll have the solid foundation for a time-tested, profitable future. STEP #2 — Income Streams: From the Internet to your bank account ... FAST! This is where the fun begins! In my second step, I prepare you for the new income and opportunities headed your way. FACT: There are only three ways to make money online. Most people barely utilize one. Rest assured, my MORE MONEY, MORE LIFE system presents MORE than you need to rake in the dough using ANY or ALL three ways. Make tens of thousands of dollars online WITHOUT SELLING ANYTHING! Just imagine being a storeowner and every time someone walks through your door, you get paid. Every time someone touches one of your products, you get paid. Nowhere does that happen BUT the Internet! And I teach you step-by-step how to set it up. Start watching money roll in as early as NEXT WEEK! I reveal my favorite moneymaking shortcut with minimal investment and time. Only the wealthiest Internet Insiders know this one — and they may not appreciate my spilling the beans on this rainmaker. Gain Insider's knowledge of the hottest products BEFORE they're available for sale. The first to promote a product WINS! Score the most leads and sales with your lowest investment imaginable. Plus, learn how to get people to PAY YOU top dollar to be on your site. All that and many more strategies and techniques designed to help you bring in as much money from as many different sources as possible. STEP #3 — Information Products: Creating precisely what people want ... and will BUY! Everybody has something to sell. Yes, even you! You may not know it yet, but in Step #3, I give you my can't-miss step-by-step plan revealing what you can sell that people will eagerly pull out their credit card for... 24 hours a day! Sell information products for $50, $100, $200, or MORE! I give you the scoop on the three formats you can easily create with ZERO COST and NO SHIPPING REQUIRED! And even if you don't write well or know design, no problem... I have a solution for you! Because all you really need is passion. Create a website that funnels people straight to your shopping cart! 90% of websites aren't built to sell anything — Yours WILL BE. Steal my template that leaves nothing to chance. Everything from copy to graphics to strategy is designed to maximize conversions and your online paycheck. And much, much more than I have room to give you here! STEP #4 — Lead Generation: Building your customer list ... and your future wealth. It's the heartbeat of your business. Your most critical asset. It's your customer list. 99% of people who visit most websites LEAVE without giving their contact information. And most of those people NEVER RETURN. No sweat, I present my "Fishing Four" approach — Bait, Lure, Hook, and Reel — to getting a name and email from a surprising number of your visitors. Follow this advice in my platinum playbook, and you'll land the "keepers" – real people who want to buy from you. Using my strategies, you'll find yourself with a family of customers and prospects who actually look forward to your emails and offers. And when that happens, the word spreads like wildfire... and your list grows exponentially. STEP #5 — Traffic Generation: Turn on the faucet for automatic, qualified traffic! Want ONE THOUSAND or more prospects to AUTOMATICALLY visit your website each day? I'll share my semi-automated and fully automated ways to generate website traffic. Set it once and forget about it. My secret formula that puts your website on PAGE ONE of Google in JUST DAYS — then grab the lion's share of qualified traffic! If you're listed on page 2 or higher on Google's search engine results, you'll receive near zero visitors. But for you, I give every last detail of my very specific, yet simple formula that took me years to polish and perfect. The FINAL WORD on Google ads: This is where most people sink their money... and because they do it WRONG, they sink their business too. My method minimizes your cost while maximizing impressions and qualified prospects. Plus, I expose the TRUTH about how to win using banner ads, classified ads, and more. The very secret to becoming a "Seasoned Online Professional" on Day ONE: Right now, there are HUNDREDS of established online businesses that want to give you all their tools, their proven strategies, and maybe even their customer list! I tell you where you can find these business "partners" and how they'll help you maximize your sales while minimizing your work and time. Plus, discover precisely how to use today's technologies (iPad, iPhone, Android etc.) to put your product in thousands of people's hands. Step #5 teaches you the absolute most efficient way to find the most targeted keywords that bring you the most traffic, sales, and cash. STEP #6 — Social Media, Blogs, and Automation: Cash in on the new center of gravity of the Internet. Blogs and social networking sites have taken the Internet by storm. But virtually nobody knows how to turn these sites into a significant part of their online marketing strategy... until NOW! How five words can funnel qualified buyers to your website from Facebook, MySpace, Twitter, and more. How blogs can be as LUCRATIVE as they are informative! I'll walk you through step-by-step to putting up a blog in just 20 minutes that's built for cash. Plus, I give you the goods to using other people's blogs to benefit your bottom line. And much, much more. In fact, I hand you my 7 levels of building marketing momentum. Once you have a grasp of these, income flows to you automatically. STEP #7 — Acceleration: Gain more customers and more money ... even faster. Activating step #7 is the point at which your wealth dramatically elevates. From simply supplementing your income to replacing your current income... to finally exploding your wealth to a point you've never imagined. From the first minute to the last, my final step is densely packed with solid ideas and easy-to-implement strategies that bring more online paydays more often. The 5 traits you MUST have to become a success. I've been doing this a while and I know what's out there. I can promise you that most online systems give you only a couple of tools to work with. As you can see, in my MORE Money, MORE Life system, you'll get 7 complete steps representing the 7 most direct steps to new wealth and enjoyment of life. And as soon as you finish listening to ALL 7 steps, you'll be anxious to turn your computer on and begin your new lifestyle! “Exceptional and Amazing. This could very well be the proverbial Teacher, as the student is ready.” — Gene Allen Clarke Jr.
is staring you in the face. You're on the golf course enjoying the day's weather. You pull out your phone and check your emails. Hmmm, looks like you've had six orders since the 9th hole. You smile as you look at the rest of your foursome — all of whom are playing hooky from the office, under considerable stress, and frantically returning voicemails and emails all morning. Later that night, while you're watching a movie at home with the family, you check your orders once more. About $600 for the day... not bad. After some quick math, you realize you're still on pace to easily surpass your salary from yesteryear. It's not what could happen — if you follow the scores of resources from my MORE MONEY, MORE LIFE system for an alternative income. My MORE MONEY, MORE LIFE system for creating an alternative income gives you exactly WHAT you need to do, HOW you need to do it, and WHERE to find the top resources that guarantee your optimum results. But I don't stop there. As a bonus, you also get my 108-page Interactive PDF Workbook featuring a total of 776 Internet Insider Secrets! We believe this program has the power to change your life. But don't take our word for it! “Today it seems like the so-called gurus substitute deceit for ability... Stephen uses obvious ability and truth.” — Ray A. Part of you is saying, "What if it works?" And another part of you is wondering, "What if it doesn't?" Listen, I remember being where you are right now. Yes, I understand, trying something new — something different — can be intimidating. But you have the best security blanket I can think of... my platinum playbook. It's changed so many lives that at this point, it's practically a science. It will absolutely bring you MORE Money, MORE Life, MORE Freedom and MORE Life... but only if you use it. 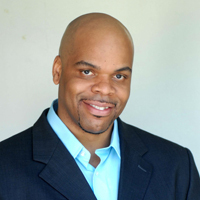 Stephen Pierce is the host of "The Success Sculpting Show with Stephen Pierce" which is a top 10 ranked podcast in the iTunes Self Help section. I want to to start the 7 steps to enjoying MORE financial rewards and MORE freedom by actually working LESS! More Money, More Life for the special price below. I can select one of two ways of ordering.